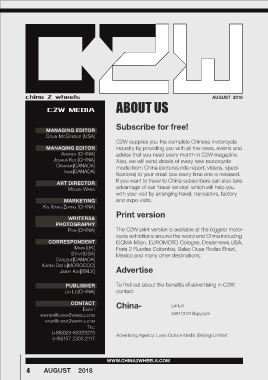 AndreA [CHinA]           advice that you need every month in C2W magazine. innA[CAnAdA]           fications) to your email box every time one is released. Steve[USA]          Mexico and many other destinations.